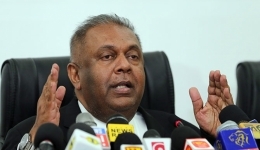 Minister of Special Assignments - Dr. Sarath Amunugama says that the question of whether a change in the Finance ministry will take place should be asked from astrologers. 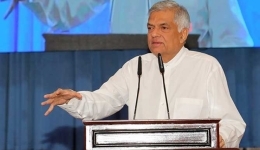 He was responding to journalists' queries on the highly anticipated cabinet reshuffle, while attending the inauguration ceremony of the IITExpo-Colombo 2018 textile exhibition at the Galadari Hotel, Colombo. Noting that the mandate has been given to continue the government for another two years, the minister said the entire Cabinet will not change. He further emphasised that a provincial election will not change the government. 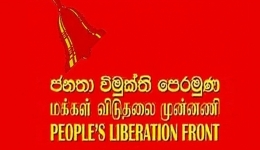 SLFP did attempt to form govt. 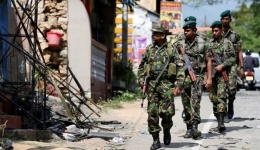 Noting that the SLFP did attempt to form a government, the minister said that the SLFP or the UNP is perfectly capable of making an attempt. However, the majority in parliament should be showed, he added.